Every American dreams of a nice home to raise a family in. The process of finding a home and obtaining the financing to purchase that home has been identified as one of the three most stressful experience you will have in your life. 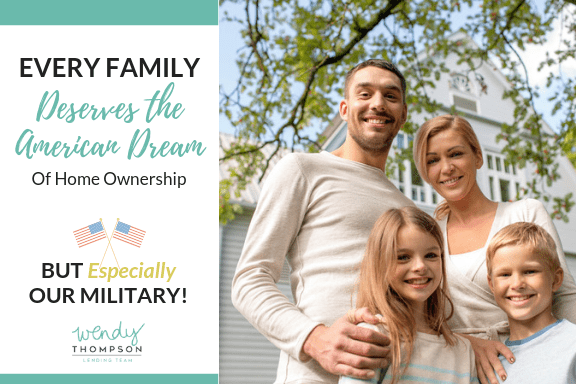 For your military service to our country, the Federal government has provided you the VA loan program with the goal of making the home buying experience as simple and stress free as possible. We’ll be honest with you, the process can be overwhelming but we will alleviate many of those fears and questions in this article as we explain how you can get the best VA loan rates with a 680, 685, 690, 695, 700, 705 to 710 credit score. Within this article we will review the best VA loan rates by credit score, explain how your credit score can affect your VA mortgage interest rate and options you may have available to increase your credit score. As you can see in the below VA mortgage rates by credit score chart, the APR (Annual Percentage Rate) for people with a 680, 685 to 689 credit score start around 4.921%. That is a great fixed rate to lock in for 30 years! Keep in mind, these rates in this chart are for based on a $250,000.00 VA home loan and interest rates fluctuate almost daily. Be sure to check with the Wendy Thompson Lending Team to receive a direct quote based on your circumstances. Take a look at some of the best VA loan rates for people with credit scores of 760, 775, 800, 825 or higher. This is important because by raising your credit score just a tad bit you could save as much as forty or fifty thousand dollars in interest over a 30 year mortgage. We will discuss some ways that you could possibly increase your 680, 684 or 688 credit score later in this article. *Keep in mind that rates constantly change so it is best to contact us directly for the correct rate. The average credit score for a VA home mortgage is right around 690 to 699. VA loan lenders use your credit score to help determine the APR rate you will qualify for. Debt to income ratio – this is the amount of money you have to pay every month for your bills as compared to your monthly income. VA lenders like to keep the debt to income ratio around 40%. Employment history – Va mortgage lenders like to see an employment history of at least 2 years. Generally, if you have been employed for 2 years or they look at your employment history as stable. However, by increasing your credit score by only 10 points to 700, you may qualify for the next tier of better APR interest rates. Improving your credit score can be tricky, be sure to discuss the best way to do so with the Wendy Thompson Lending Team. In general, Vets looking to put no money down or do a cash-out refinance to 100% of the home’s value, will find the VA Mortgage the best option. 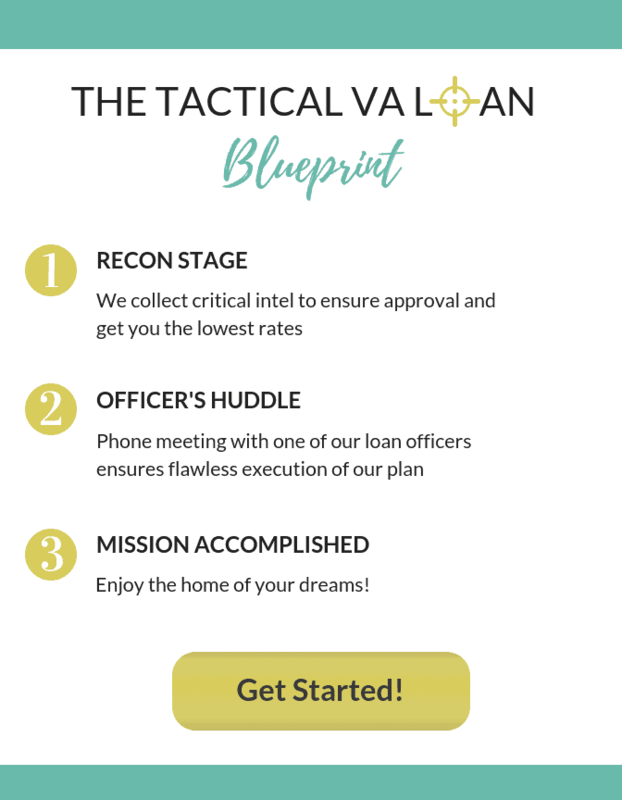 But when the veteran doesn’t need 100% financing and they have a credit score of 680 or greater, than other financing options can become superior options. As you can tell from the chart above, the best VA loan rates by credit score are grouped by tiers. When you have a lower credit score such as 601 or 622, the APR VA mortgage interest rate is much higher than if you have a credit score of 700, 705 or 710. It is important to notice the higher your credit score gets past 701, your APR rate doesn’t go down that much more. However, even a few tenths of a percentage point lower over the life of a 30-year VA mortgage can result in tens of thousands of dollars in savings. 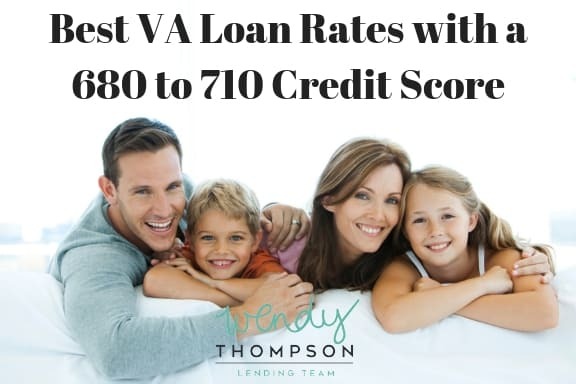 Be sure to keep this in mind when discussing with your VA loan lender as there may be opportunities for you to buy down to a lower interest rate with a credit score of 702, 706 to 711. Improving your credit score a few points can usually be done quickly. Most people have never had a professional perform an analysis on their financial records, debt to income ratios or your credit reports. Generally, when the Wendy Thompson Lending Team looks through your records, they will find a few glaring areas that can either be corrected or adjusted to benefit your credit score. In some cases, there are huge mistakes on your credit reports and by disputing these mistakes, a much larger positive credit score adjustment can be seen. Because the VA loan program does not require a down payment, in some instances if you have some savings, it makes more sense to pay down debt such as credit cards and auto loans to significantly lower your debt to income ratio. All of these ideas, individually or in conjunction, can help you get the Best VA Loan Rates with 680 to 710 Credit Score.